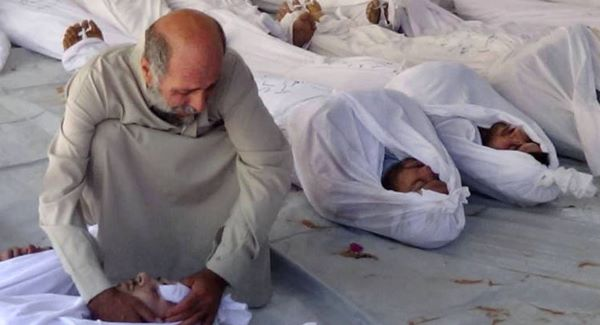 The attack that allegedly used chemicals weapons on August 21 in a suburb of Damascus might have been carried out by government forces, without President Bashar al-Assad’s personal permission. A paper in Germany reported this on Sunday, citing intelligence from Germany. Syrian division and brigade commanders had requested the Presidential Palace authorize the use of the chemical weapons for over the past four months. This was according to messages on the radio that were intercepted by a group of German spies. However, the spies said permission was denied at each request. If true, this could mean that al-Assad might not have approved of the attack personally, in which over 1,400 people were killed, suggested the intelligence officers. The German paper said radio traffic had been intercepted by a reconnaissance vessel from the Navy, the Oker, which had been sailing near the coast of Syria. Last week the head of Germany’s intelligence gave confidential briefings to members of the parliament’s foreign affairs and defense committees. The intelligence chief told the committees that the civil war in Syria could continue on for years. Germany’s chief of staff of the armed forces also told parliament that al-Qaeda linked forces within the rebel groups and their influence was becoming stronger. Members of parliament’s foreign affairs committee said that even though there was no absolute proof that the government of Syria had been responsible, much evidence was available that suggested it had been. Included in that evidence was a phone conversation intercepted by German spies between an official from the Hezbollah and the Iranian Embassy, in which the Hezbollah official said the attack had been ordered by Assad. Germany as well as other members of the European Union blame the government of Syria for the chemical attack, but have urged waiting for the UN weapons inspectors’ report before any military action is taken.